Cardiac Rehabilitation offers patients a chance to be the best that they can be. By providing them the opportunity to develop and maintain a healthy and productive lifestyle through a medically supervised, individualized program of physical conditioning, education and risk factor modification. The Cardiac Rehabilitation Program is composed of 36 sessions (three days a week — Monday, Wednesday and Friday — for 12 weeks). Various class times are offered allowing flexibility to fit the program to the patients schedule. Each session lasts approximately one hour and consists of warm-up, 30 minutes of aerobic activity and a cool-down. Each session is closely supervised by clinically experienced staff and directed by a cardiologist. The patient receives continuous telemetry monitoring of their electrocardiogram and heart rate with frequent blood pressure checks. In the case of an emergency, the staff is trained in Advanced Cardiac Life Support by the American Heart Association and emergency equipment is on hand at all times. Patients will undergo an initial evaluation including physical examination, exercise stress test and resting EKG. From this information, an exercise prescription will be individually formulated for each patient. 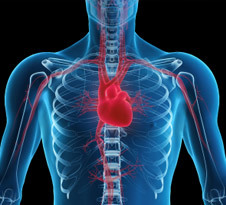 Cardiac education is provided to each patient and their family in order to facilitate learning and discussion about heart disease and the rehabilitation process. Nutrition classes are also provided by a registered dietitian on a weekly basis.